Blog Tips Hello friend today we are again here with new article. We need to follow some step before publish our article. You must know about of this step so you can boost your post in search engine. Today i will talk about of how to get organic traffic by follow this step. So lets start about of this step. You need to think about of title hundred times before you publish your post. It will help you getting people in read your post. Write your content keyword in you title. It will help you in boost your post in search engine. Check your keyword competitions in Google Keyword Planner. You need to write you content with step by step guideline. Use H2 and other bullet point for sub point. write great introduction for your content for easy understanding. Use SEO friendly image and use some text in your image so people know easily what the post is written. Whenever you upload image in your content use ALT text in your image with main keyword its will help you in SEO. Internal Link : Add link of your old post in this so people can read also that post its call internal link if people spend time in your website it will reduce your bounce time. If you will use internal link then it will help you in search engine. External Link : use external link other than your website it will your make your SEO strong. You can use it single time. 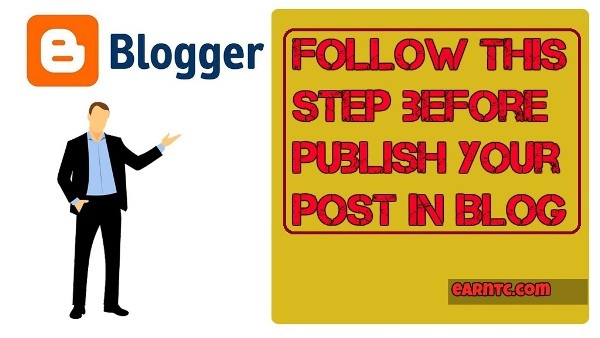 If you write Blogger in your content then you can link to Blogger so it will help you in SEO. When you complete all this thing after you can check SEO in your content. You can read our old post On-page SEO and how to set keyword in your post it will help you in SEO but lets talk little where we can place keyword for boost your post in search result. You can ask question to your reader and also you can write about of comment if they have any doubt reply all the comment when people comment on your post. This all the point will help you in SEO and also boost your post in search result. After this you can publish your post. Here are best way to make money online. You can earn money by full time or part time. 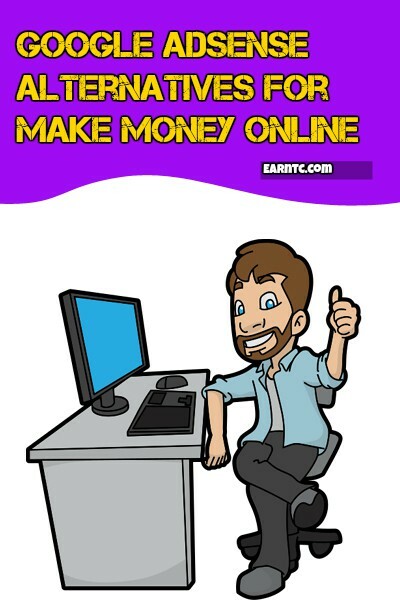 so lets talk about of how can we earn money online. YouTube is a popular way to earn money online. You can make interesting video and upload on youtube. 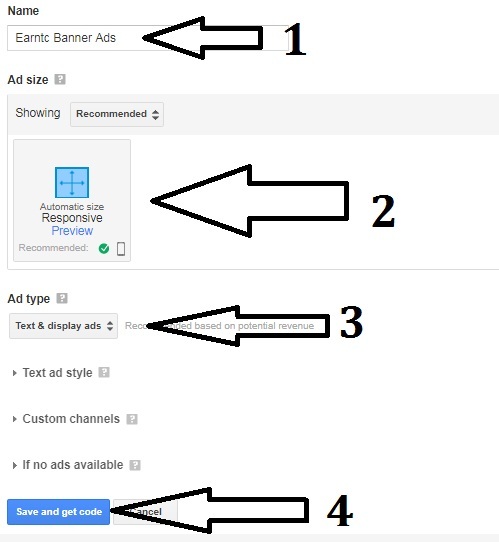 You can earn y Google Adsense whenever you get enough viewer and enough subscriber in your channel. 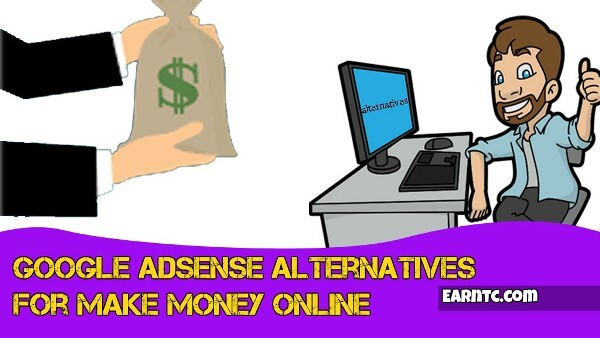 If you don't have Google adsnese account then you can sign up for one for free. Grow your audience in YouTube and invited to join multi channel. here are some ideas for channel Vlogging, Product Reviews, Technical, Toys and Cartoon, Music. You can earn money with website or without website by revenue share. 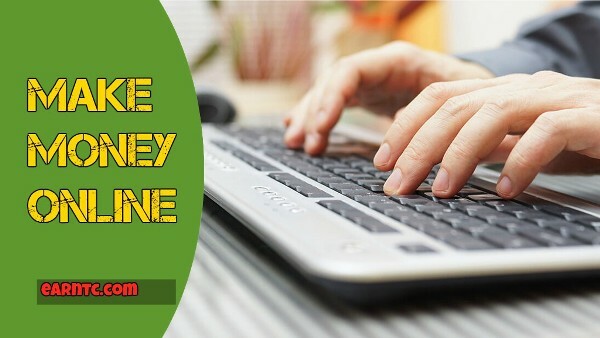 If you have any computer base blog or website then you can earn by hosting revenue and many more. You can also share affiliate link on your website or blog. You can create Digital Product for online reader. Ebook. also you can create video tutorial and you can sell it. You can share your knowledge or Interest. If you have great idea for design for any product then you can start it and earn. If you have drawing skill on product then you can start it. You can start Online Services like Web Design, Mobile Design and many for in technical knowledge. If you want to start a blog then you must select good niche for your blog. 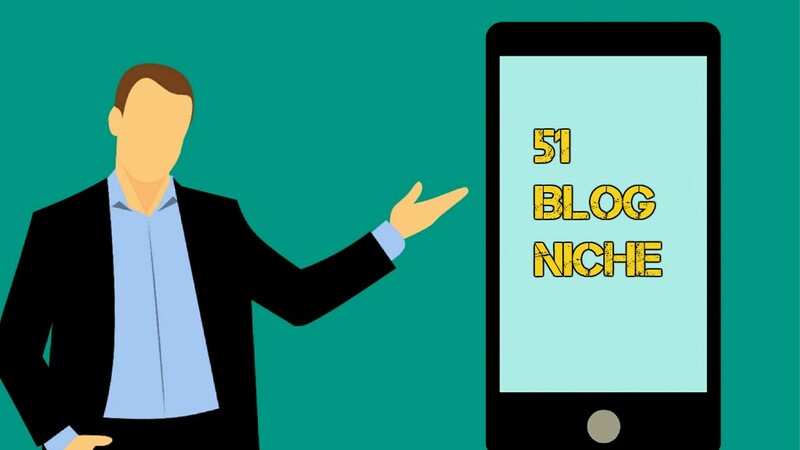 If you don't know how to select Blog Niche then you can read our this article <<How to Choose Niche>>. Before you select the Niche, you can research on it. Here are the Blog Idea you can select and think about of it. Very hard to get approval in Google Adsense. 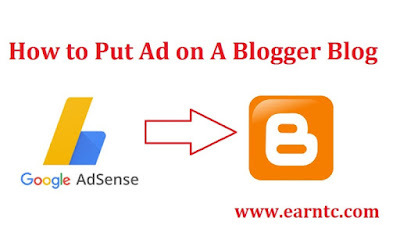 If you are one of them or if you want to monetise your blog, then here are list, i have some best Google Adsense alternatives. 6 If you will get approved and will give you an extra 10% over your earning of the first 3 month Ex. if you earn 100 USD in your first month then they will paid you 110 USD. Search Engine Optimazation (SEO) is the increasing the quantity and quality traffic for your website through organic search engine results. If you want to get more traffic then you must concentrate in SEO. here are the 2 types of SEO on-page SEO and off Page SEO. if want to know more about of it then you can read <<on-page SEO>>. 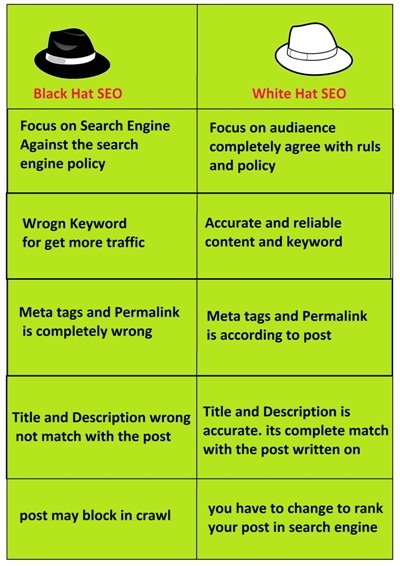 here are another 2 parts in SEO Black Hat SEO and White hat SEO. Today we will learn more about of which is the batter SEO for your website. When we just focus on Search engine its call Black Hat SEO. Black Hat SEO is completely against of Search engine policy. when we force to rank our post in search engine it is Black hat SEO. Wrong keyword are use in black hat SEO for get more traffic. Title and Description wrong not match with the post. If you use black hat SEO, then your post may block in crawl. When we focus on audience not search engine it is white hat SEO. white hat SEO is completely agree with rules and policy of search engine. we have to pay attention to our targeting keyword it is white hat SEO. Accurate and reliable content are use in white hat SEO. content quality is complete correct. Meta tags and Permalink structures are good for attract visitors. Meta tags and Permalink is according to post. Title and Description is accurate. its complete match with the post written on. If you use white hat SEO and accurate information then you have to change to rank your post in search engine. 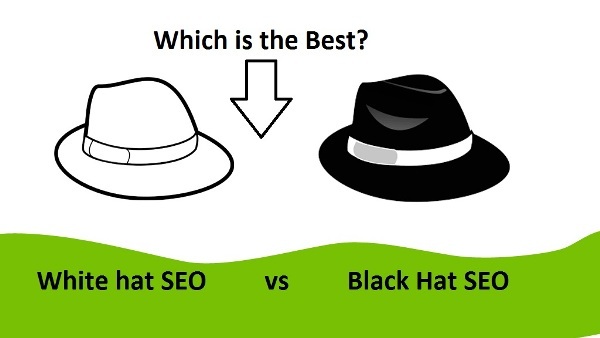 Hope you like article on What is Black Hat SEO VS White Hat SEO? Enable Search description is the short information of your article. Search engine typically take some of the sentence of your blog post it is Search description. Why it is important to enable search description? 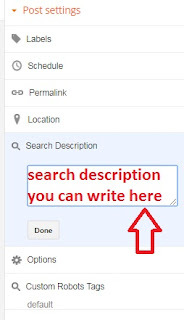 If you do not enable Search Description , Google will automatically take search description form your blog post. they can affect the traffic of your blog. If you enable search description than you can write your own Search Description. 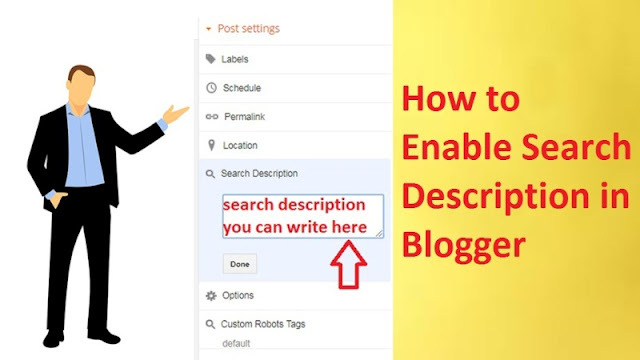 Search description will help you for grow your Blog Traffic. Log in your blog. Go to setting then click on basic. After click on basic, you will get option of description after title in right side. You need to write your home page description. Make sure its length Should be maximum 500 characters then click on save. After this, come back to the left side and click on Search Preferences. You can see Meta Tags option in right side. Now you need to write Meta Tags description with your blog main keyword it will also help you in grow your blog traffic. Make sure its length should be maximum 150 characters then save it. Now click on post and create new post. After you can see in right side after the location Search Description is enable now. you can write you short search description in that box. Let me tell you whenever you search your search description will show on search result. 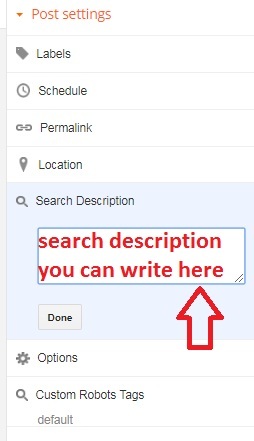 Most important thing you need to write your search description with your post main keyword. remember your search description should be 50-300 characters. When it comes to submitting the Blog to the search engine, first's come Google name. Google is largest search engine. if you submit your sitemap to google then your work does not end. If you really want to traffic in your website then your SEO should be fully completed. Therefore, we should also submit your sitemap in Bing. We should not forget that Bing is the largest search engine after Google. 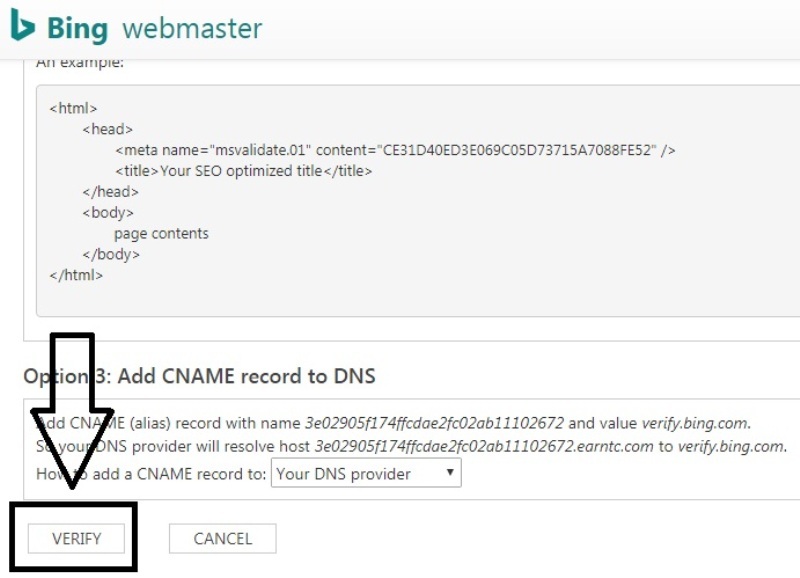 Bing webmaster tools is completely free like google. If you want traffic for your website, then you do not ignore Bing webmaster tools. First you go to Bing webmaster tools. Just login in Bing webmaster too.When you complete login process, you will see the option of add site. This type of web page will open. 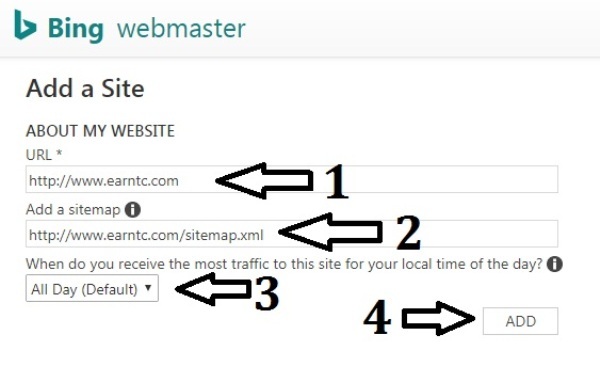 2 Here you need to add your website sitemap otherwise you can write this type so it will take automatically from your website. After this process complete, you will get this type of code. Just copy this code. After copying this code, you open the new tab and login to your Blog. After login your blog go to Theme and Click on Edit HTML. Find <head> in your HTML page and paste the code Below head. After pasting code click on save theme. 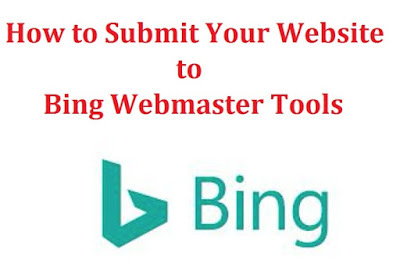 After the theme is saved, come back to the Bing webmaster tools. After come back to Bing webmaster tools click on verify. After this your website sitemap submit in Bing webmaster tools. 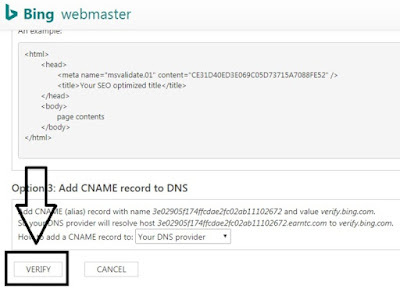 After this process is complete, your dashboard will open will in Bing webmaster tools. Before we start blogging, we definitely think about which is the best platform for blogging. Here we will talk about of Wordpress and Blogspot. Because of the less features in Blogspot people are use Wordpress. If we will talk about of the ranking Wordpress is better then Blogspot. But it is difficult to say which platform is better. If you want to start blogging then you can start with Blogspot. If you want to transfer your blog blogspot to wordpress then you can transfer it. 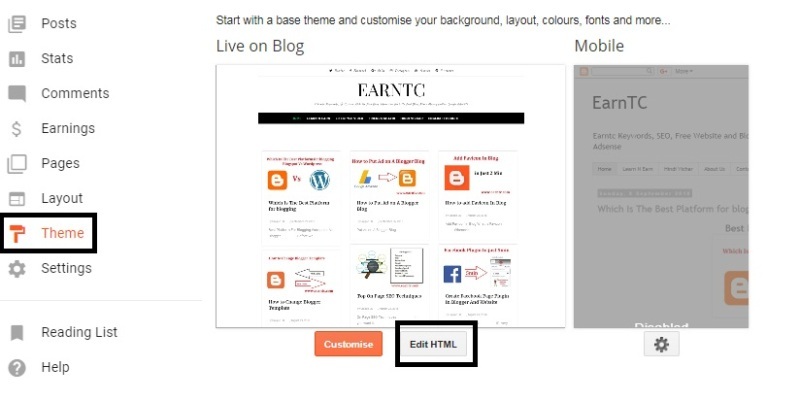 If you start blog in Wordpress then you can set your blog by your own style. you can use plugin of your choice in Wordpress. Wordpress make your blog more search engine friendly. You can control your blog by own style in wordpress. If you want to start blog then you need to learn more about of Wordpress. Wordpress is not free platform. Blogger is free platform for blog. If you are beginner then you can use Blogspot. Easy features in blogspot. Compare to wordpress less features in blogger. If you want to share your ideas then Blogger is the best platform. Blogspot have limited features so you can handle it very easily. If you are not able to invest money then you can start your blog in blogger. 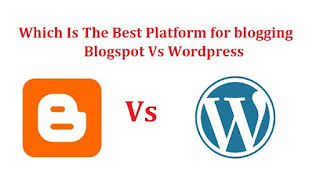 3 Blogspot is easy to handle for beginner and Wordpress is little hard in use compare to blogspot. 4 If you want to learn about of blog then you can use Blogspot. Wordopress is paid service so you cant lean about of blog. 5 Wordpress have so many designer theme for use blogspot have simple theme. 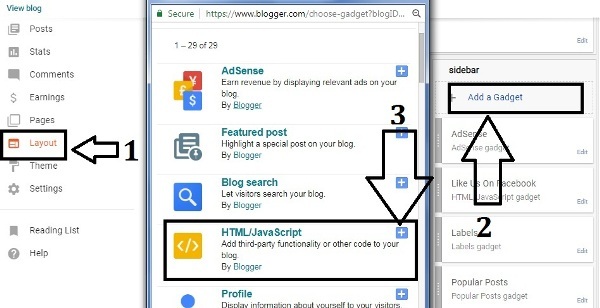 If you have Google Adsense approval then you can set your ads in Blogger. 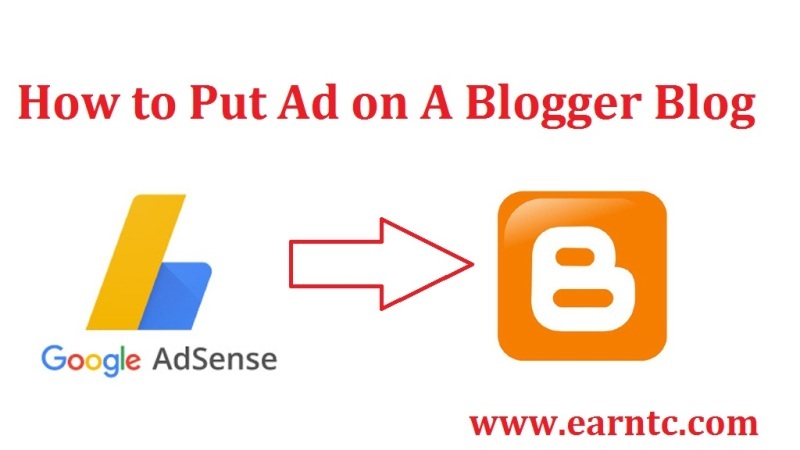 First you need to sign in Google adsense and Blogger. When you sign in Google Adsense you can see something like this. Click on My ads and then Ad Unit for place new Ads. When you click on New ad unit after you can see which types of ad you want to place. If you want you can read about of this ads. If you want to place ads in your blog's Banner and Side bar, then you can select Text & display ads. If you want to place your ads between article then you can select In-article ads. 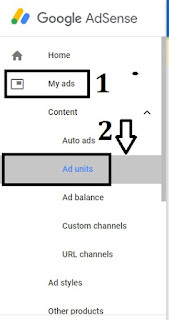 2 Here you can select your ads according to your banner size. 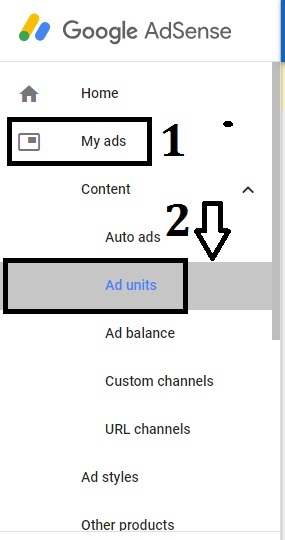 Here i have selected auto ads so if i want to change the position of ads then it will set automatically. 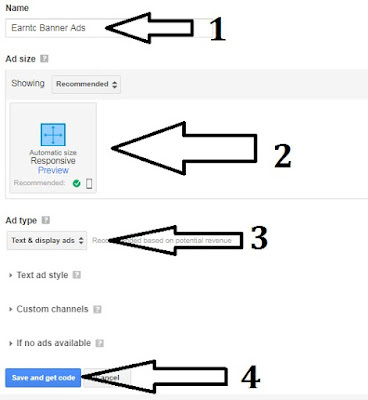 3 You can choose your ads style which type of ads you want to show. 4 Save and Get code after clicking on it you will get pop up on your screen with Ad code. Copy that code. If you have any doubt or suggestion then you can comment in comment box.